Following our announcement that we're launching our own Progress App last month, and later our launch on the Android Google Play Store; we're very happy to announce our app is now available on the iPhone and iPad over at the iOS Apple App Store too. Now, all users of iPad and iPhone can keep up to date with the latest Progress News and special offers directly from our iOS app. 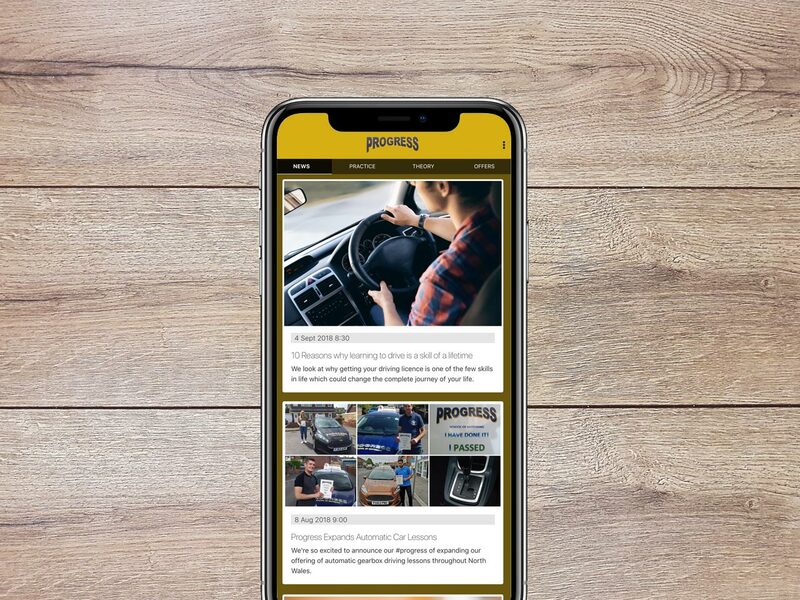 We recommend everyone keeps our app on their phone to keep an eye out for our latest offers which will change now and again - allowing you to share with your family and friends as and when they start their journey to a full driving license. One of the greatest features of our new app is the ability to practice your Hazard Perception in 'an as close as possible' experience to the actual DVSA Hazard Perception test. We use authorised DVSA video files which will give you the closest experience of the real thing, all from your mobile device. You can then track your Progress and scores as they improve. You can download our app from the iOS Apple App Store right now by visiting here. We're already looking at ways to add new features and have exciting ideas for our app in the future - so stay tuned!